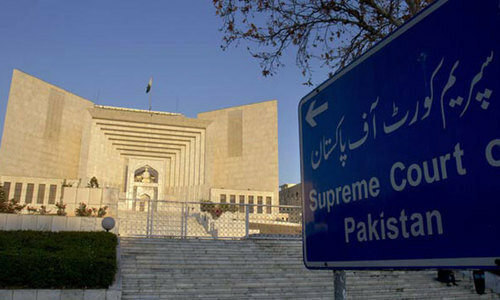 As the Supreme Court (SC) on Monday resumed hearing of a case pertaining to money laundering through fake bank accounts, the Federal Investigation Agency (FIA) told the court that 15 more accounts linked to a suspicious account in Summit Bank had been uncovered during its investigation. Earlier, the FIA in its probe had unearthed an account flagged in a Suspicious Transaction Report titled A-One International maintained at the Summit Bank Khayaban-i-Tanzeem branch in Karachi, which it said was used for suspicious transfers of Rs4.14 billion in accounts of various companies. FIA Director General Bashir Memon told the three-judge bench headed by Chief Justice of Pakistan (CJP) Mian Saqib Nisar that the accounts linked to A-One had transferred funds amounting to Rs6bn. Among the 15 newly uncovered accounts were one belonging to a graphic designer and one in the name of a Careem motorcycle driver's wife in Lahore, Memon said. The graphics designer who worked at a private channel had a salary of Rs35,000, which raised questions over the presence of Rs800 million in his account, the DG FIA said, adding that the woman's account showed transfers of Rs1.5bn. 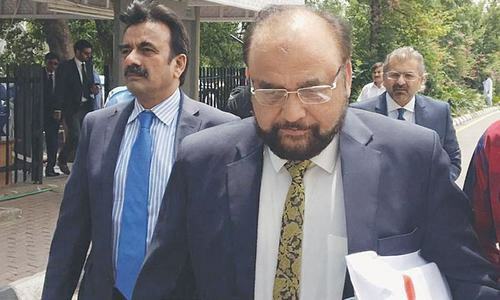 The DG FIA told the court that he believed the funds were bribes, a statement rubbished by defence counsel Ayesha Hamid, who claimed that the accusations were part of a media trial. Justice Umar Ata Bandial also wondered how accusations of bribery could be levelled before an investigation was concluded, adding that the court treats everyone equally. The court also questioned the Sindh Inspector General of Police (IGP) Amjad Saleemi about the matter of alleged harassment of witnesses by police officials which was brought to light in an earlier hearing. The IGP had earlier sought an explanation from the DIG South and other senior officers after a Summit Bank employee told the court that although the case was being investigated by the FIA, it was the police who had "made her life miserable". She said that she had been fired from her job, and that police raided her home. She also alleged that she had been pressured by someone to provide a false statement in court. Subsequently, the court ordered the transfer of Additional Inspector General (AIG) Karachi Mushtaq Mahar. The IGP today reported the transfer of the AIG to the bench, along with the transfer of Senior Superintendent Police East Nauman Siddiqui. 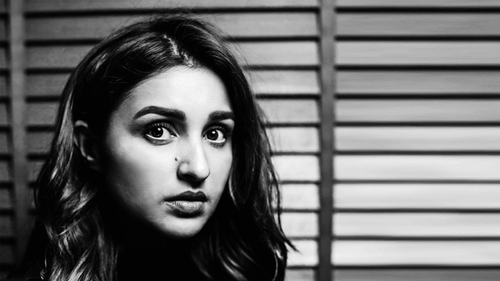 Saleemi told the court that the harassment of witnesses by police had been proved, and that there was something suspicious about the matter. "IG sahab, tell us what is suspicious about the matter?" the CJP asked. The top judge remarked that since the court had taken up the case, "they" had started taking action against those associated with the case with no regard for what is right and what is wrong. "Instead of telling the truth, they are now after us," the CJP said, without specifying who "they" are. "God and the people will protect us. Those who speak out against us don't know, maybe tomorrow fingers will be pointed at them." The CJP asked the IGP to find out "who is the minister-to-be at whose behest all this is being done", and added that contempt notices would be issued against all police officers who had harassed witnesses. The top judge also ordered that all witnesses be given protection, and that if any witnesses were harassed, the witnesses would call the Supreme Court. "Instead of calling and harassing the witnesses, 'they' now call us," the CJP claimed. The court ordered that all witnesses’ accounts be recorded and a report should be presented in court by September. Justice Nisar also noted the absence of Omni Group Chairman Anwar Majeed. The chairman's counsel had told the court in the last hearing that his client was receiving medical treatment in London, at which the court had ordered that Majeed be present in court on Aug 13. The CJP said that instead of Majeed being present in court today, a different lawyer was present. The court subsequently rejected the Majeed family’s notice of absence, with Justice Nisar wondering whether the family should be issued a notice for contempt of court. He summoned the Majeed family to be present in court, even if it was at 8pm today. "We will reopen the court for them," he said. The CJP asked if the lawyers were worried that their client would be arrested. He said that if the FIA had attached the Omni Group's bank accounts and properties, then the court would also order the same. Omni Group lawyer Shahid Hamid asked for time so that Majeed could be produced in court, adding that the family would be present on Wednesday. The CJP rejected the request for more time. Shahid Hamid also told the court that the FIA JIT in its 60-page-long report had found no evidence of the bribery and corruption alleged by Bashir Memon, and claimed that all the Omni Group's money was clean and had been audited. The CJP, who had in the last hearing suggested a 'Panama-style' JIT to probe the case, today suggested that the members of the Panamagate JIT be included in the new JIT. A new JIT was requested by former president Asif Zardari and his sister Faryal Talpur due to their reservations against the FIA's Najaf Mirza ─ whom Zardari earlier filed a case against ─ and Bashir Memon, who Zardari accuses of holding a grudge against the PPP. Justice Nisar said that the fresh JIT could be led by FIA Additional Director General Wajid Zia and the Panamagate team. He observed that the Military Intelligence officials who were included in the Panama Papers JIT could have been added "as seasoning [tarka]" to the probe. He said that the court would form the probe team after listening to the lawyers' arguments in the case. 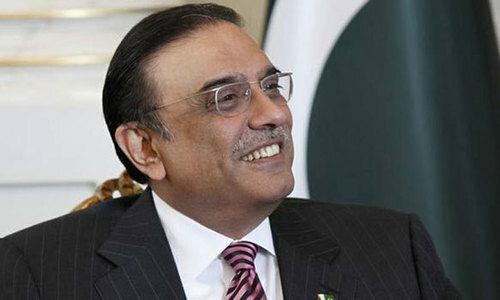 Barrister Farooq H. Naek, Zardari and Talpur's counsel told the court that the PPP has always respected the judiciary. The CJP asked whether Zardari and Talpur had been cooperating with the investigation, to which Naek replied that they would appear in court whenever they were called. CJP Nisar summoned Anwar Majeed to court on Wednesday and adjourned the case until then. This guy MUST BE behind the bars! For sure more will come out till new government is formed as per wishes of PEOPLE of Pakistan. May be today warm handshake between THE CLEAN and the CORRUPT have sent some positive signal for Pakistan. Is there an end to this looting, everyday more and more comes to light. I really hope this is looked at swiftly and sorted and culprits put behind bars, no matter who they are. This brother sister duo's number has finally come up! Another big fish is trapped. To all those disgusting people who are quick to raise voices against judiciary and military but fall asleep when atrocities like this are committed against general public. This Rs. 6 billion of money laundry is just chicken-feed as compared to the Rs. 224 billion stated to be the worth of Zardari's empire abroad. First, investigate thoroughly and establish full facts, and if there are strong evidence of corrupt practices then take stringent actions according to law - no matter who they are and, there should be no favours of mercy, recover all looted money and spend for the welfare of the poor people! Honorable CJ of Pakistan. Sir, don't delay in making JIT. At the twilight of your career, it would be the greatest achievement of you bring all culprits and looters in small barrack of Adiyala Jail; FOREVER! There is this one guy named Mr. Zardari..As long as he is around, you will find many more billions suspicious transactions. There will be hundreds, or even thousands more, which will remain hidden with the connivance of the banks or the powers that be. NAB : Keep on digging more and you will find more billions. He think himself the most intelligent person in Pakistan. Recover all looted money and spend for the welfare of the poor people! Zardari was given a clean chit by "them." Why are they chasing him now. Justice should swiftly be served. This is a time for SBP and FIA to use advanced Data Analytics techniques to identify all such malicious transactions and accounts using various techniques such as fuzzy match, insight from Big data and conventional data analysis such as regression analysis and many more. Deposit back money to Pakistan Treasury. More power to the Supreme Court! Imran Khan is a "big game hunter". Zardari cannot escape death or capture. Are they politicians or leaders? Sad and Shame, Shame and Sad. Where is patriotism for the country? Where is love for the country? criminals, corrupts, culprits, etc., are numbered. Its time for NAB to produce some real results. Please wait for another 15 to 20 days and let IK take control and past all mega corruption will be exposed and recovered. If not,IK will be considered as part and parcel of corruption and people will again looking for new pisitive change. Lock him up and put him on ECL. @M. Saeed I think you are mistaken he has 30,000 Billions abroad. If Zardari is acquitted this time than they should also let NS go, both have looted whatever they could get their hands on. What's he point of reporting these fraud accounts when you can't provide any proof or even get the accused to appear for questioning! Dr. Asim Hussein's case is a perfect example-confession on record for looting billions of dollars, yet no prosecution ever! ECL and then trail at the earliest. @Hasnain Haque Let them return 90% of looted money, Appologize to nation on live TV broadcast and go to quiet retirement. This could be one way to deal with those looters, very quickly, to close the book on hundreds of past looters. For any would be new looters, no deal, just throw them in the jail. NAb and judiciary both have to be independent and not under PM or any. The only hope that Pakistan has now is a comprehensive investigation for any citizen suspected of looting, money laundering and bribes. Let us make Pakistan great now, Inshallha. @Adnan Mazher Khan: Amen to that! There is no investigation or guess needed to say that zardari has looted Pakistan and Nawaz Sharif stayed indifferent instead of initiating any investigation. Zardari and his sisters shall be bring to justice for unmatched corruption. This plot is thickening, with each passing week, there are BILLIONS of Rupees added to the already BILLIONS of Rupees. No wonder he went from being an uneducated unemployed fellow straight to being a BILLIONAIRE, and then some. accusations are abundant, from murder to corruption, from looting millions to BILLIONS. @Adnan Mazher Khan we are waiting eagerly when all this looted wealth will be brought back and these dishonest politicians corrupt mafia get a strongest punishment ever in the history. Zardari is the mother of corruption in Pakistan. The truth that he stole so much and nothing happened to him encouraged NS and his party politicians. @Harmony-1© Ameen my brother. So much suffering of my Pak people due to Zardari and now his incompetent children who are pushed into power. Sindh is totally ruined by these goons. Please stop this non-sense of recover this or that - tell us how much looted money you recovered and deposited in national treasuary. Bank branch managers in Pak are given target to have more deposits by inviting more wealthy accounts. They are not concerned about who is opening account, and for what purpose. The manager of Summit Bank presumably be happy to have such extraordinary large sums of his client account. Now since an inquiry in progress obviously the managers will take care. But still once aspect is hidden in above Report, the FIA must also find who ‘ introduced ‘ those accounts, because all accounts are opened after introduction by someone already having an active account in same bank. Besides after opening account the bank sent a thanks letter to the introducer, as well as the account openers, all these must be checked.